When was the last time you felt inspired by the world around you? Uncover the mysteries of science, space, nature and technology at the renowned Museum of Science and Industry, and ignite your curiosity. 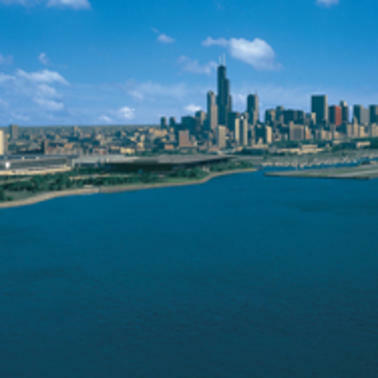 The largest science museum in the country, this sprawling 14-acre facility is located just minutes from downtown Chicago and is home to 400,000 square feet of interactive exhibits, as well as Chicago’s only five-story, domed Giant Dome movie theater. Everyone from children to adults will find something fascinating to explore. 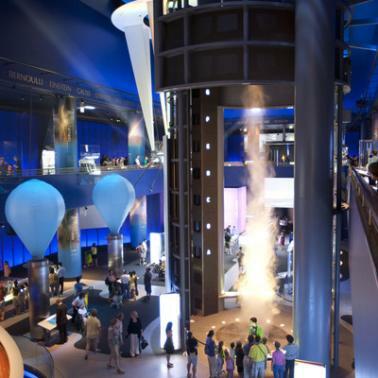 If you’ve ever gotten a thrill from extreme weather, you’ll want to explore the hands-on Science Storms exhibit, where you can walk through a 40-foot tornado vortex, create an avalanche on a 20-foot rotating disk or marvel at a colossal Tesla coil that creates high-voltage lightning every 20 minutes. At the U-505 Submarine exhibit, history and technology collide for a behind-the-scenes glimpse into World War II. 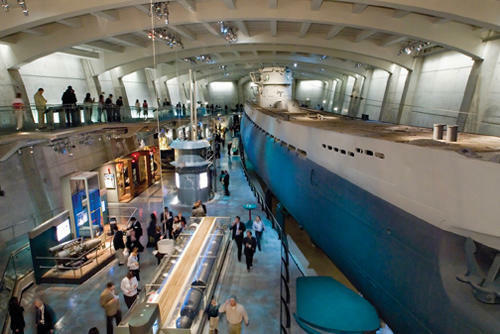 You’ll see a real German submarine — the only one captured during the war and the only one in the U.S. — and hear stories about the men who lived aboard this deadly and elusive warship. Take the onboard tour to go into the belly of this massive submarine and experience history firsthand. Get a whole new perspective on yourself (yes, you!) at YOU the Experience, where you can explore the human body in an awe-inspiring, personalized way. Send your pulse to a 13-foot 3-D heart, learn about your earliest beginnings, get active in a life-sized hamster wheel, or play the two-player game of “Mindball” to see who can be the most relaxed. If you’ve never made the connection between math and nature, you’re in for a surprise at Numbers in Nature: A Mirror Maze, where you’ll discover the incredible patterns that encompass our natural world, from the veins of a leaf to the spots on a giraffe. Then, experience the “golden ratio” firsthand as you navigate a fun and challenging mirror maze. From now – January 6, 2019, don’t miss The Science Behind Pixar, an interactive exhibition showcasing the science, technology, engineering, and math (STEM) concepts used by the artists and computer scientists who help bring Pixar’s award-winning films to the big screen. 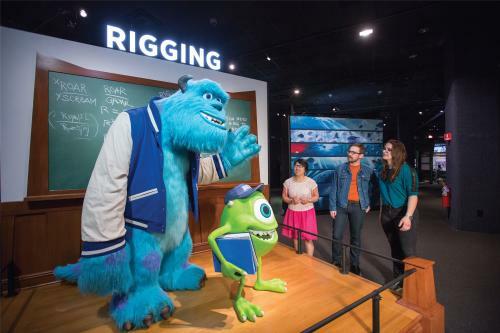 With more than 40 interactive elements, the exhibition breaks down eight steps of the filmmaking process—an unparalleled view of the techniques and concepts used at Pixar every day. Know Before You Go: Save time (and money!) by ordering advance tickets online. Tickets cost $21.95 ($19.95 online) for adults and $12.95 ($10.95 online) for children ages 3 – 11. Special exhibits require an additional ticket. Regular hours are 9:30 a.m. – 4 p.m. daily, but be sure to check for special extended hours or holiday hours.